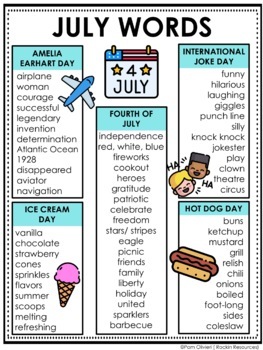 A word list with July related themes which is great for projects and activities. I use them mainly for writing stories and poems. MONTHLY WORD LISTS- August, September, October are free! Monthly Word Lists- Get all 12 months for only $3 instead of .95 each!